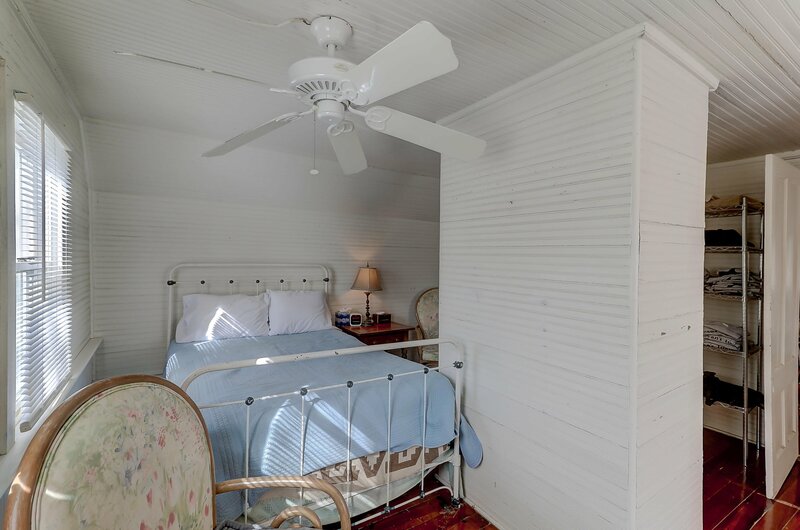 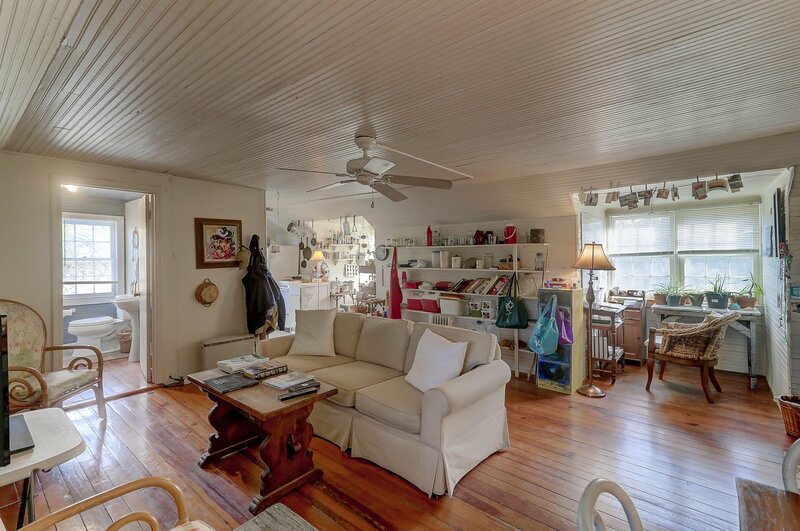 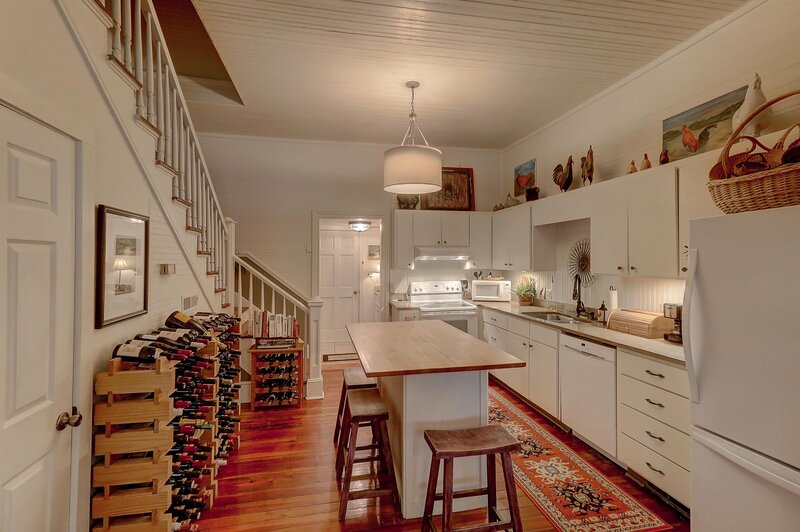 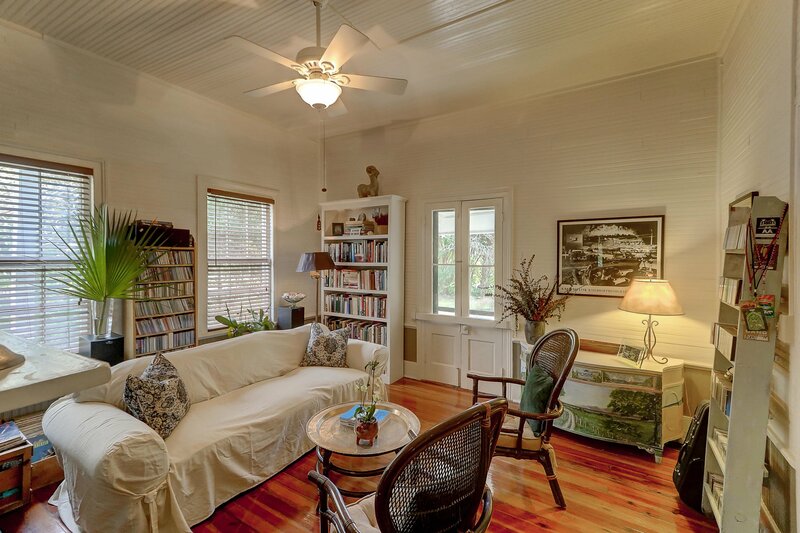 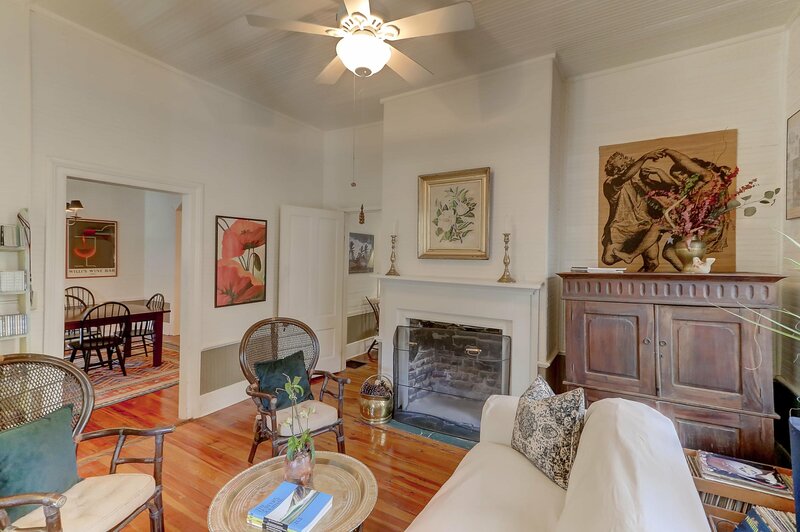 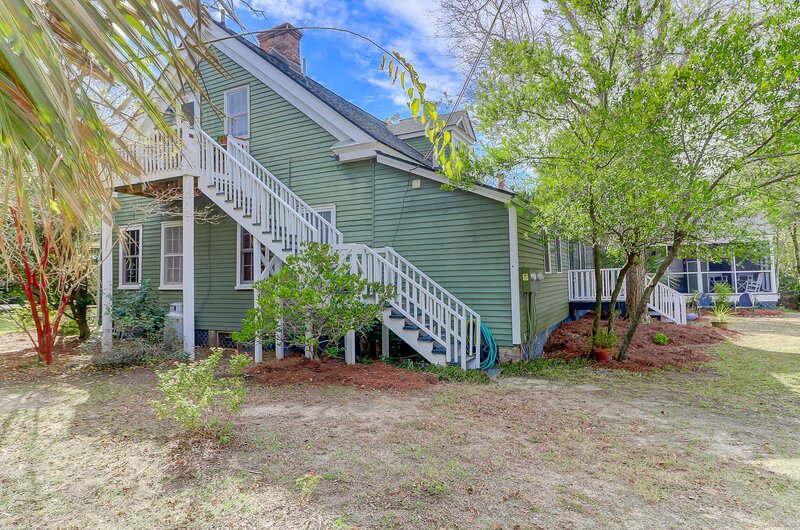 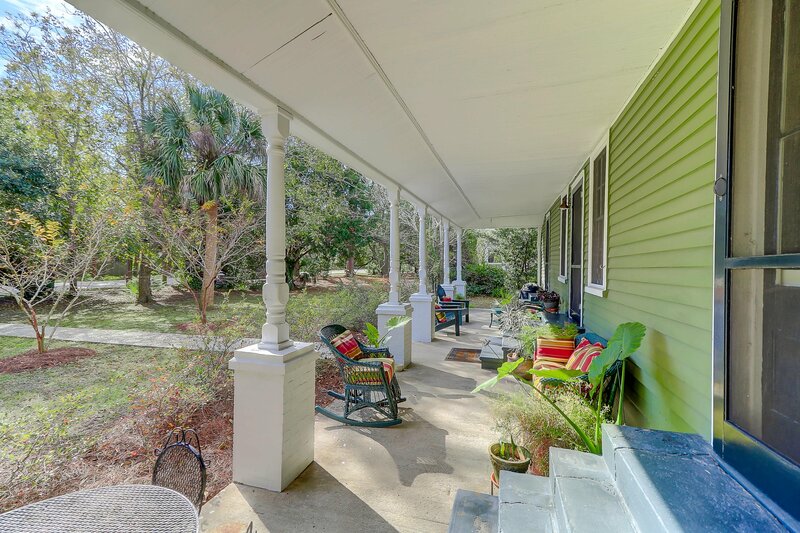 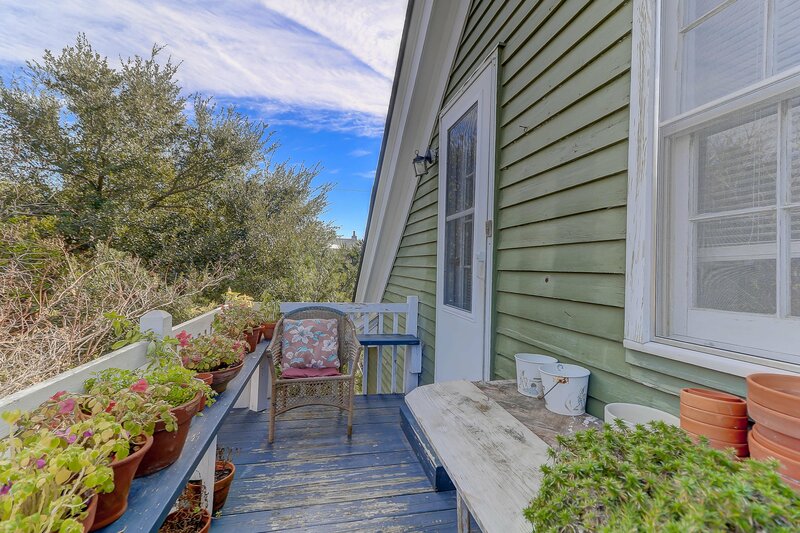 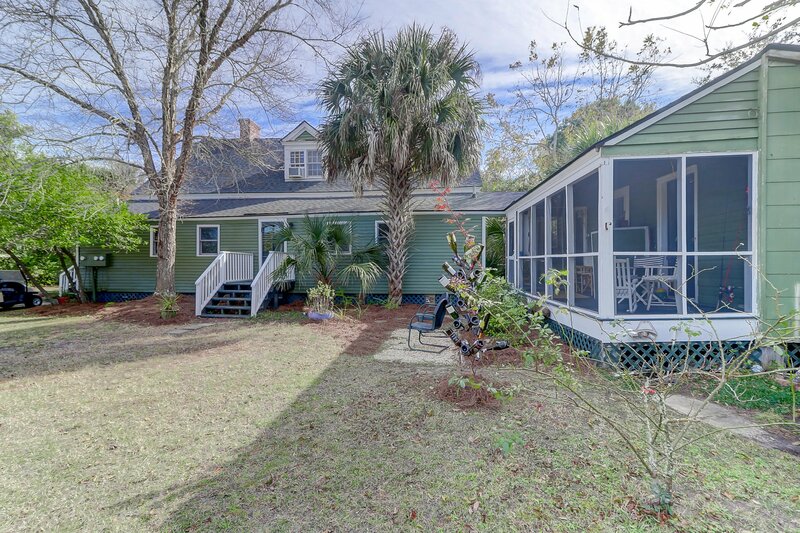 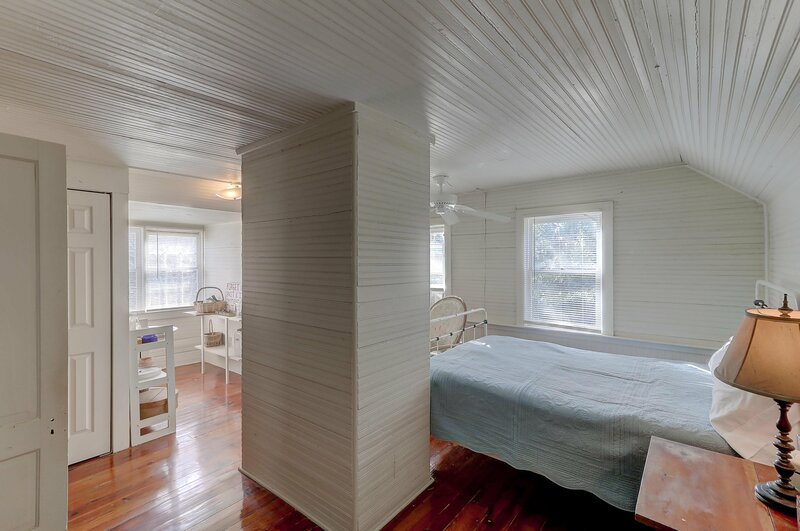 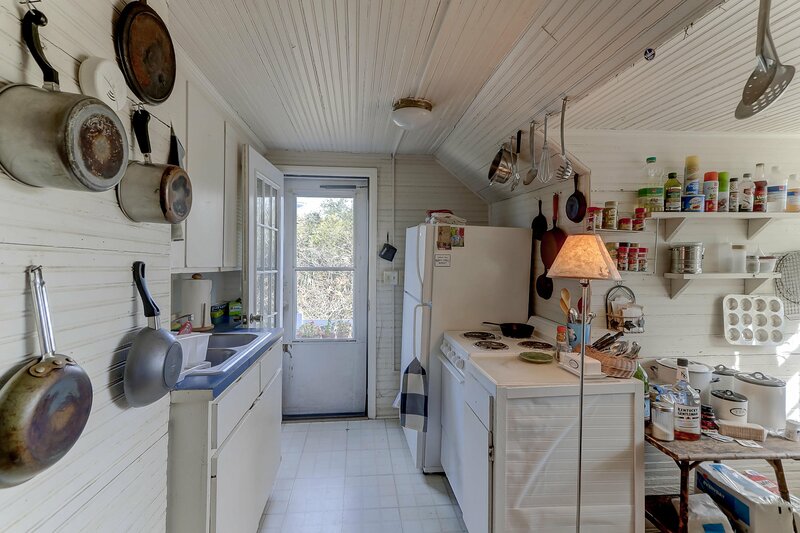 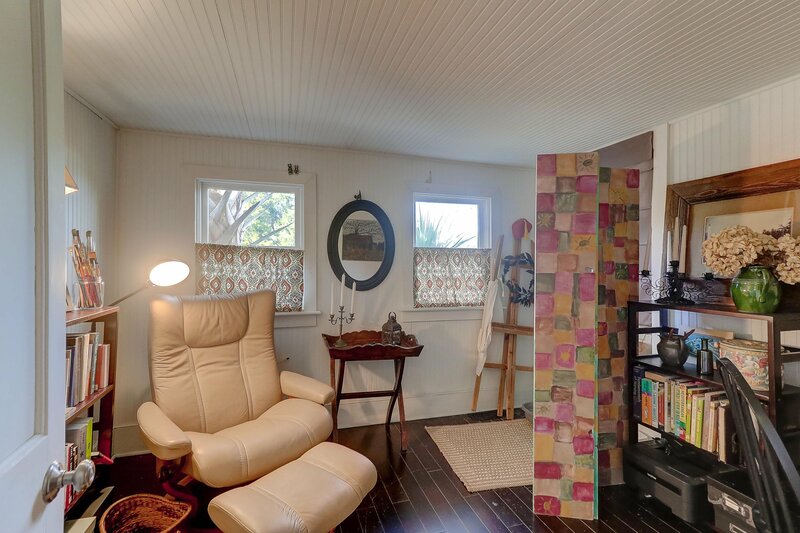 Built circa 1900 and listed on the Sullivan's Island historic register, this spacious beach home is filled with character and charm. 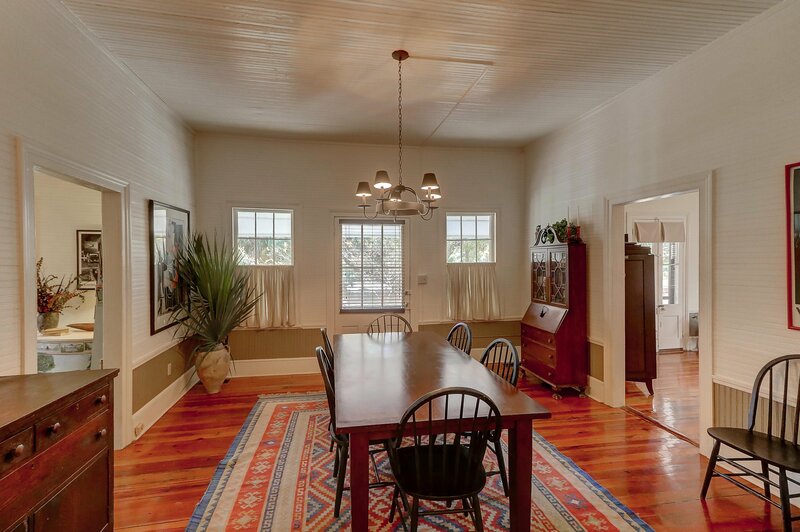 The main house features a full front porch and has an inviting interior with a central kitchen and dining room. 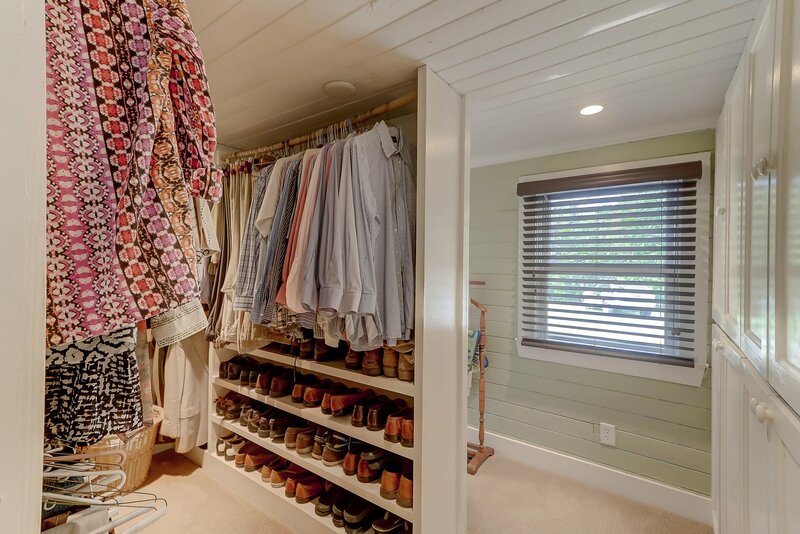 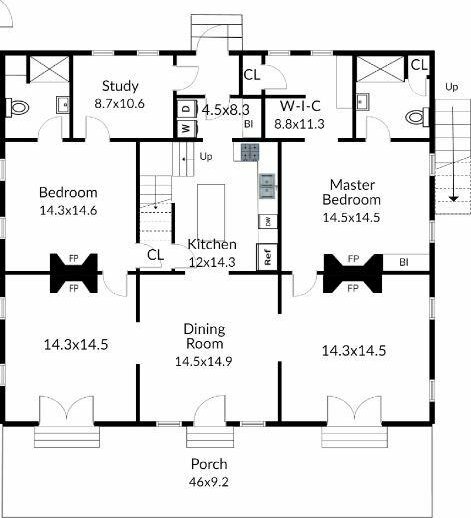 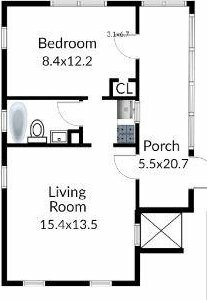 Each wing of the home features a living room with access to the front porch and a bedroom with an en suite bath and either a walk-in closet or private study. 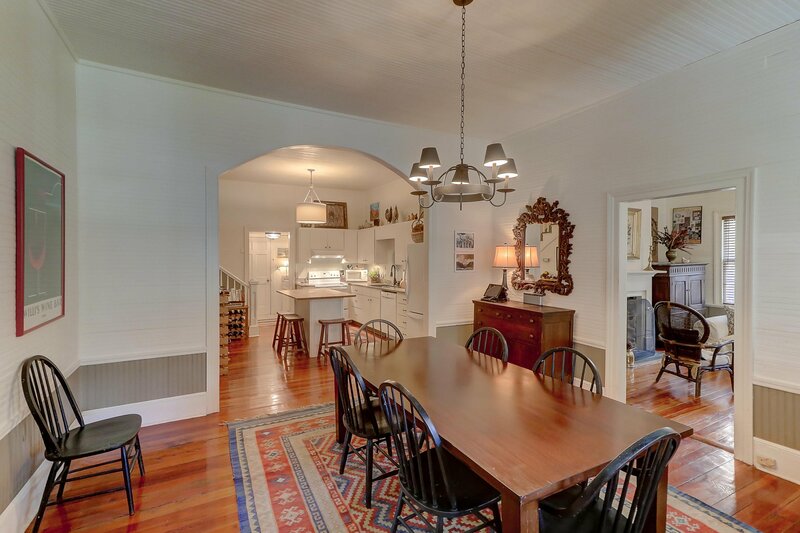 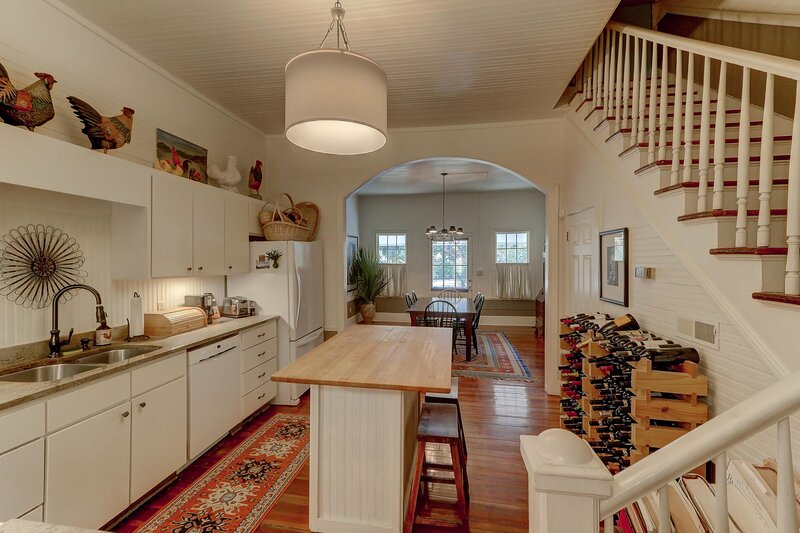 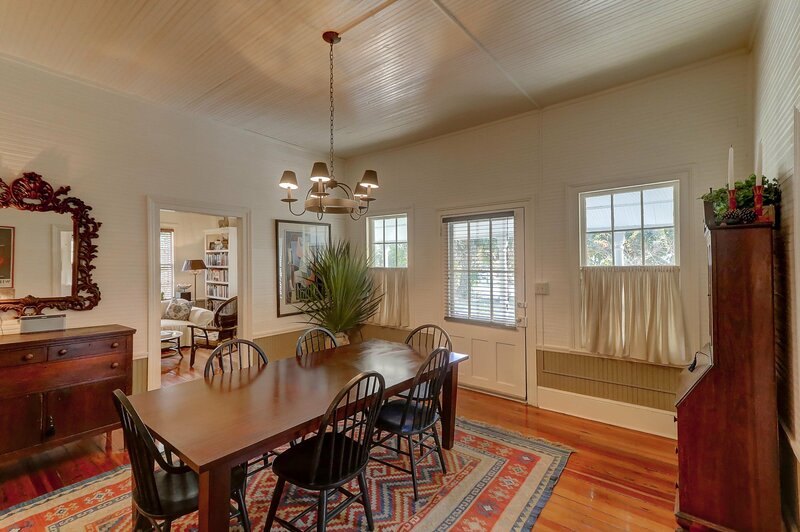 Details include high beadboard ceilings, heart pine floors, large windows and multiple original fireplaces. 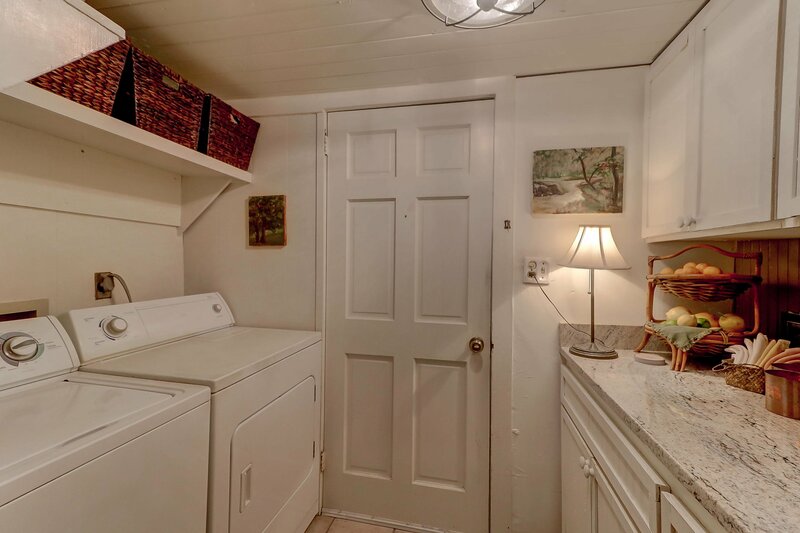 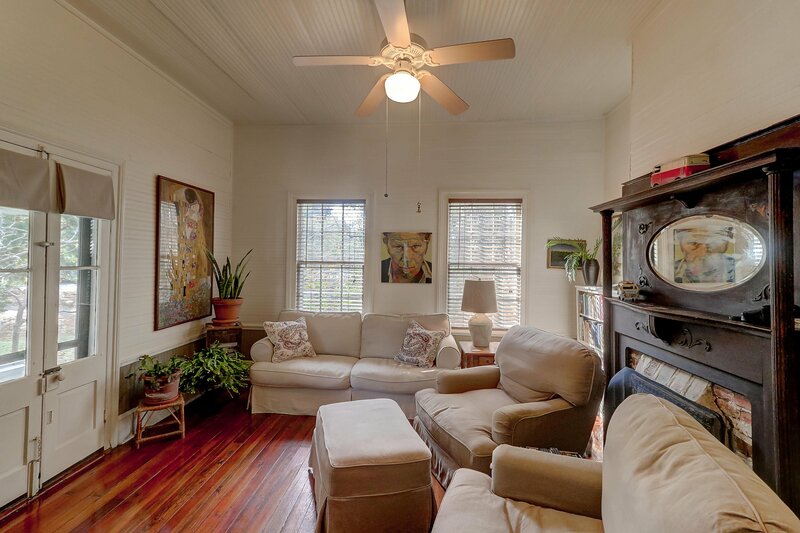 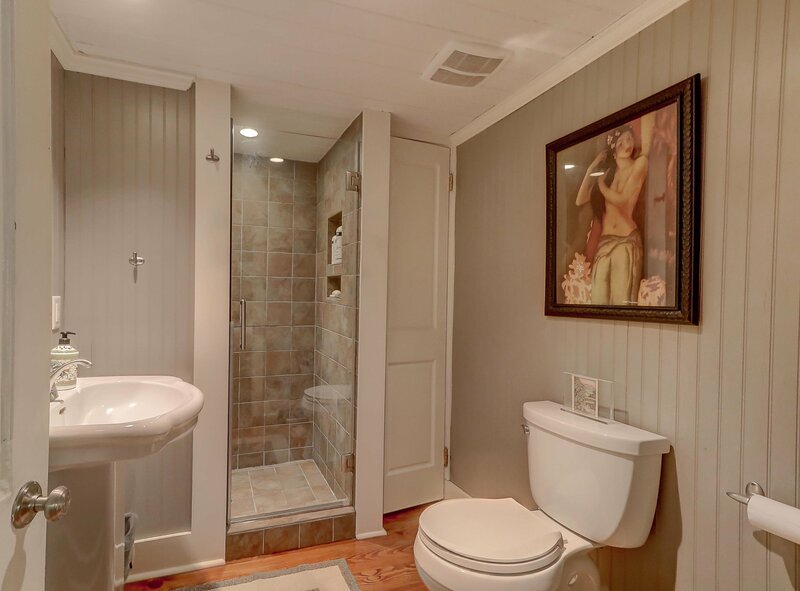 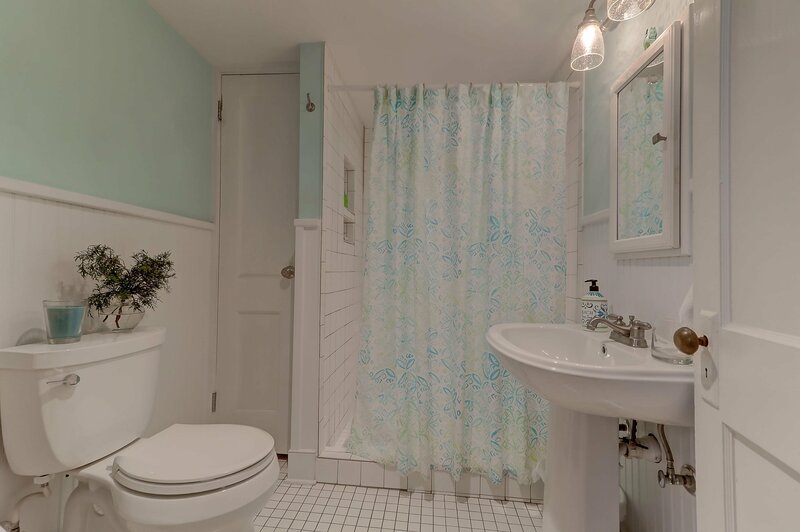 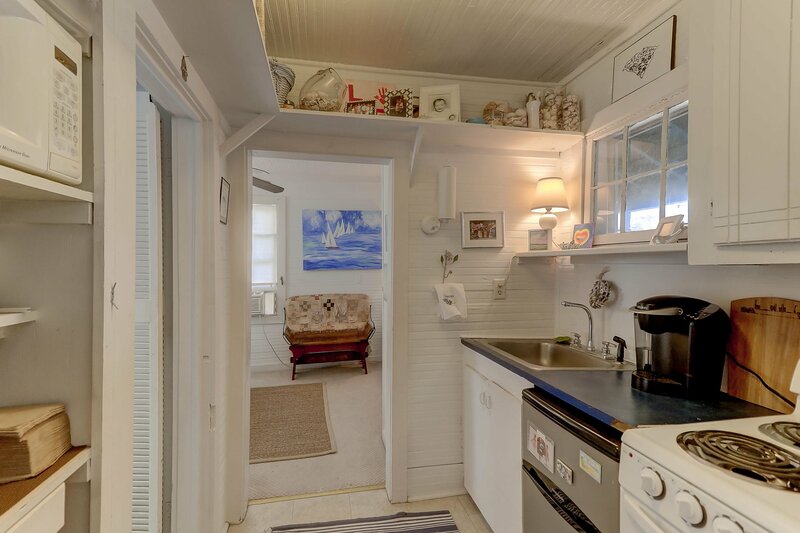 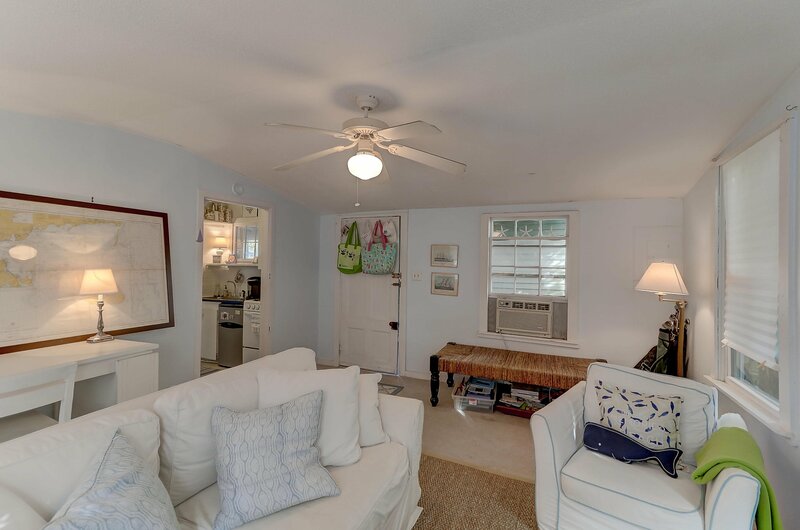 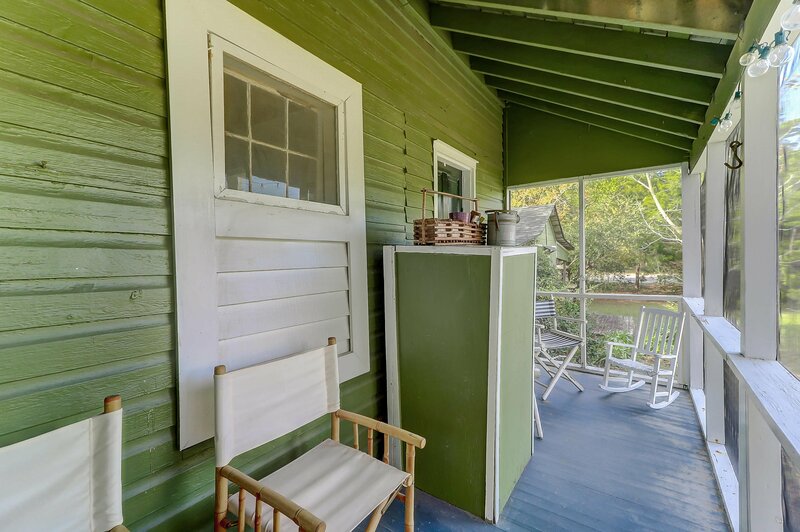 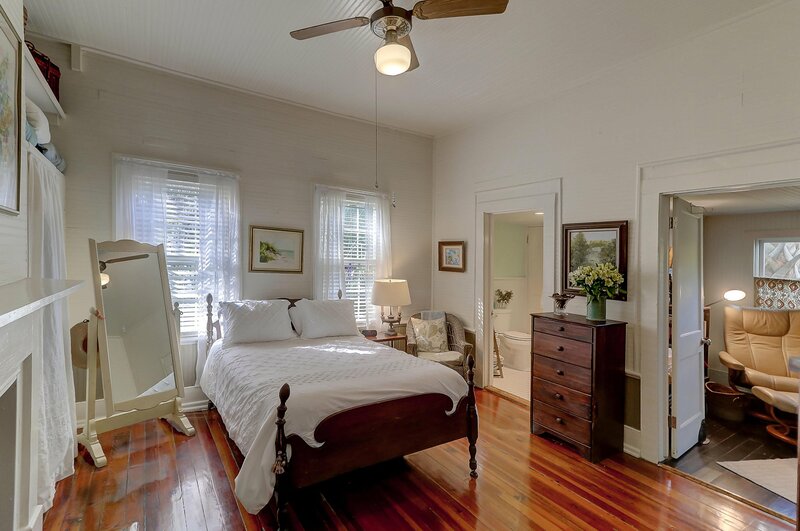 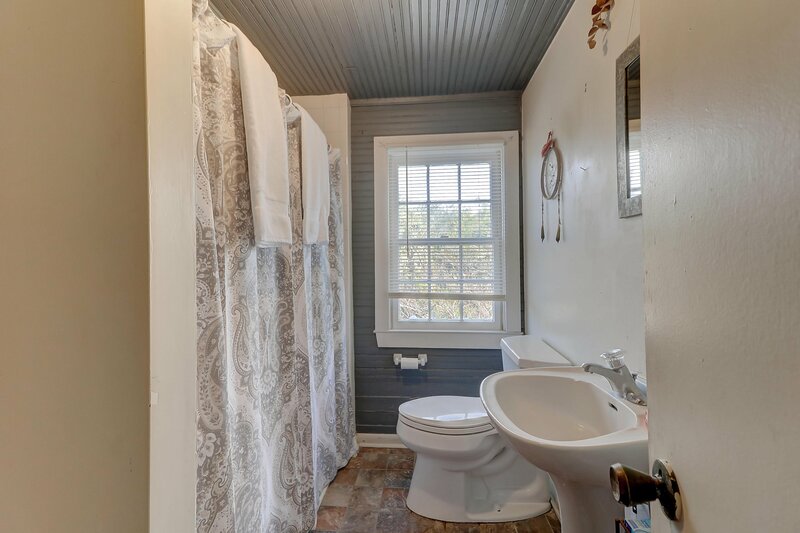 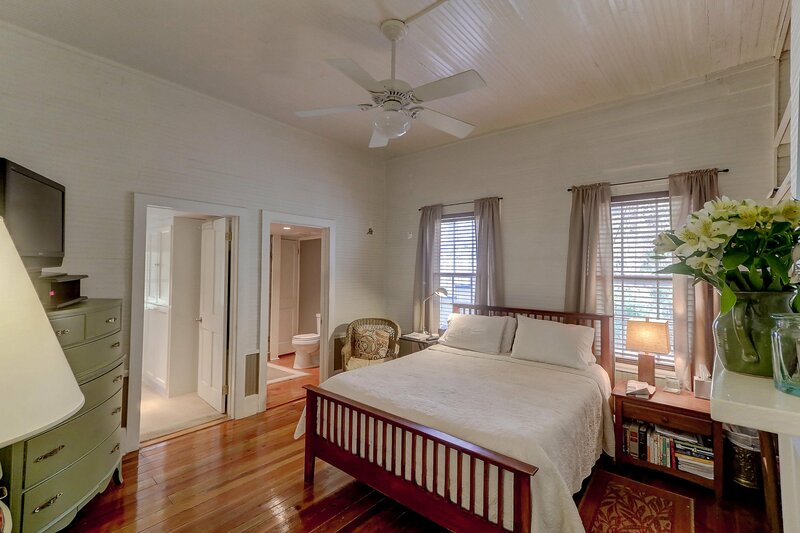 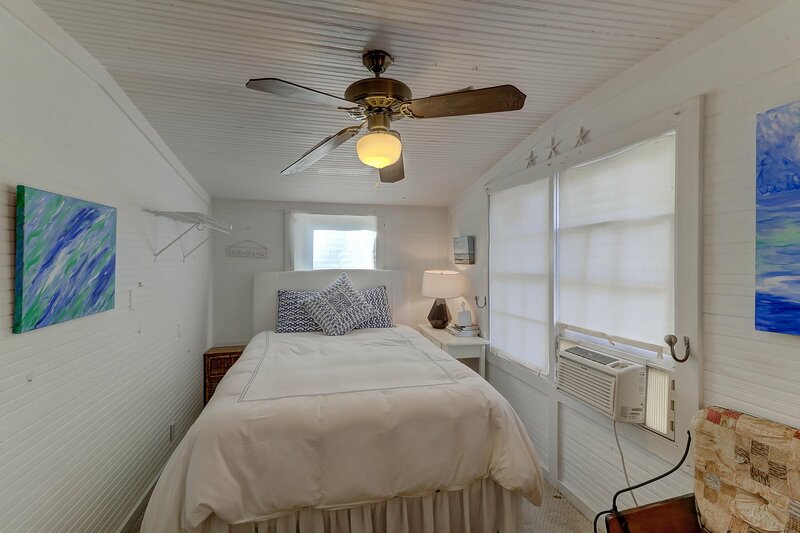 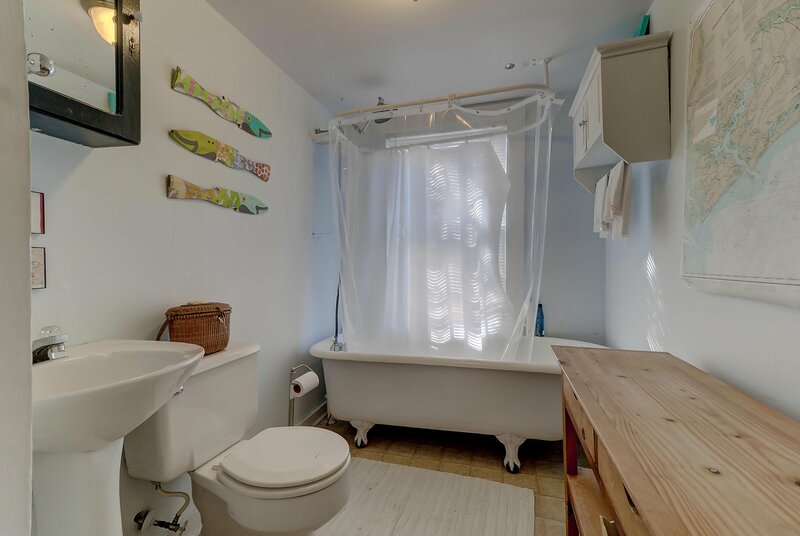 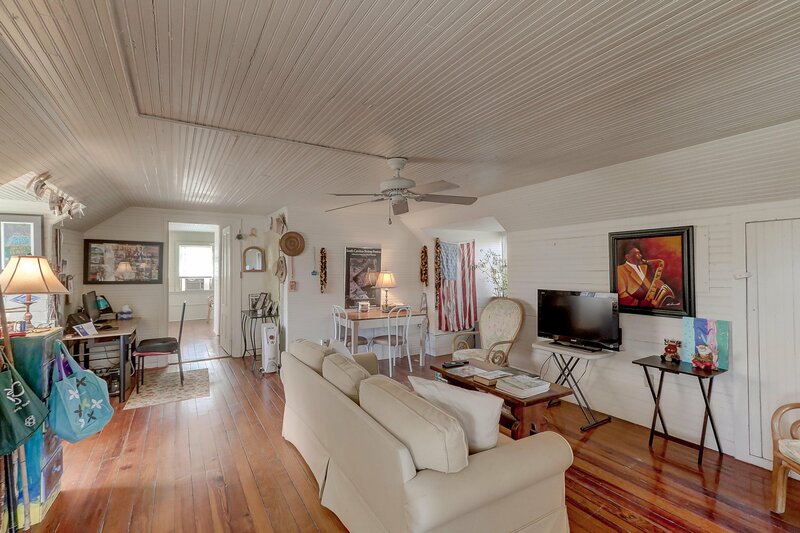 The second floor features a well-sized living room, bedroom, full bath and kitchen, while the guest cottage has a screened porch, living room, kitchen, bedroom and full bath. 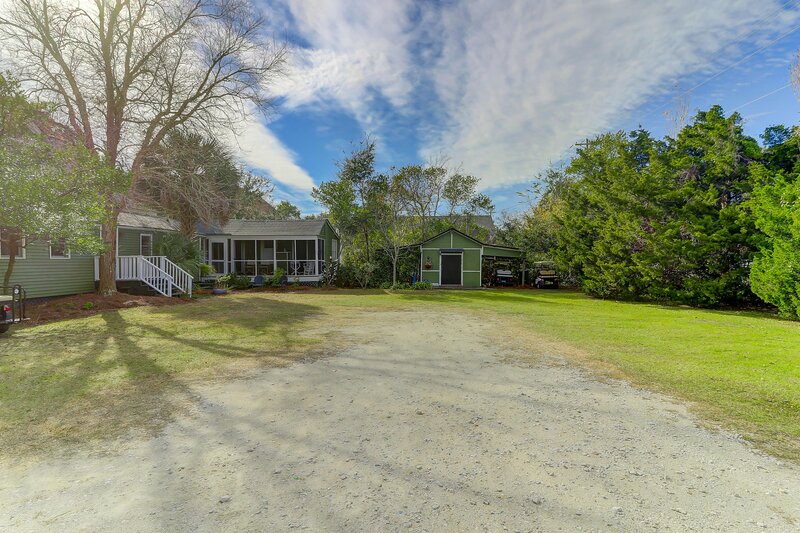 The home sits on a half acre, street-to-street , corner lot, with plenty of room for parking or outdoor entertaining. 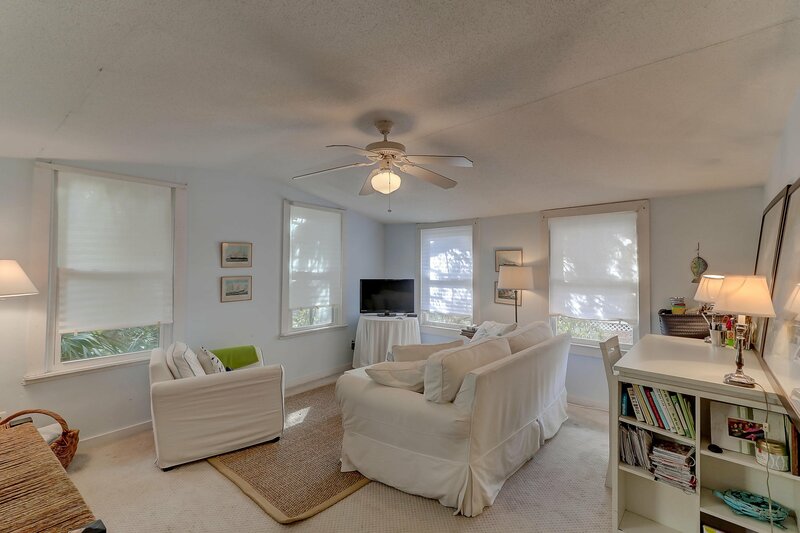 The location is also ideal--just 2 blocks from the beach, 2 blocks from restaurants and 3 blocks from community park. 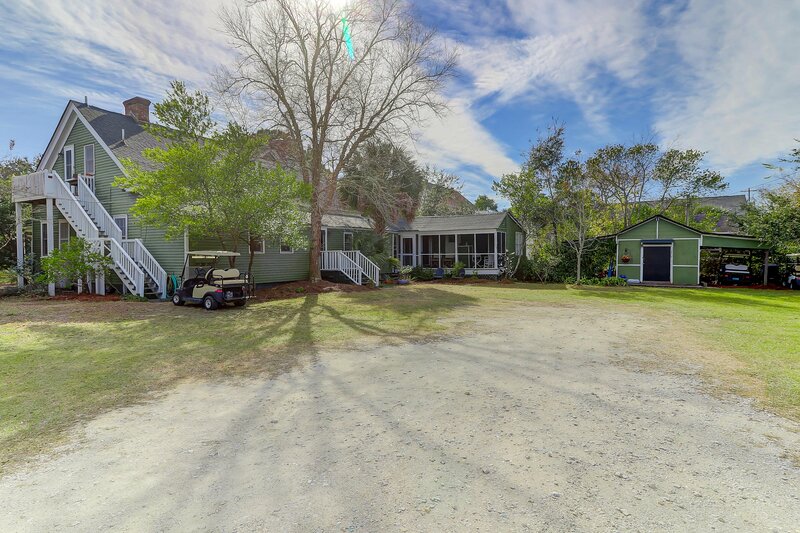 Sullivan's Island living at its best!